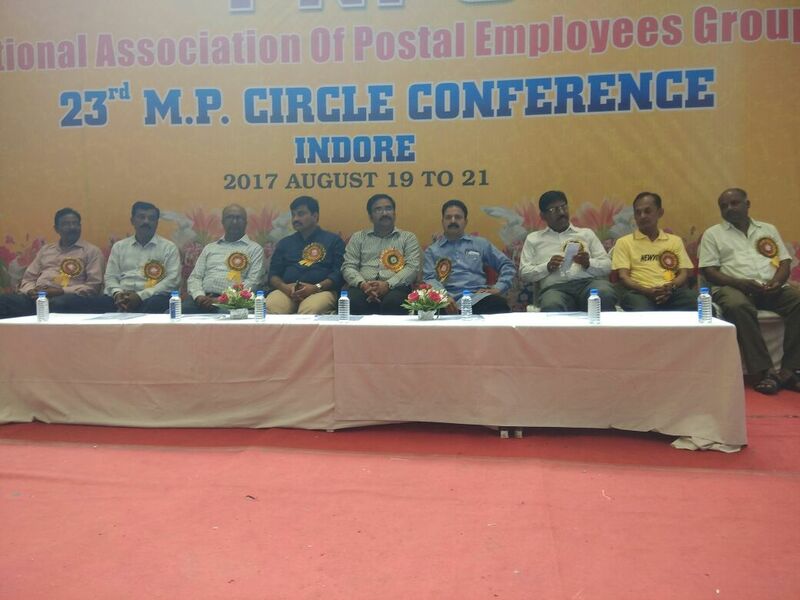 23 rd circle conference of National Association of Postal Employees, Group-c, Madhya Pradesh state held at Agrasen Bhavan, Indore from 20-8-17 to 21-8-2017 under the Presidentship of Sri TK Tiwari circle president. 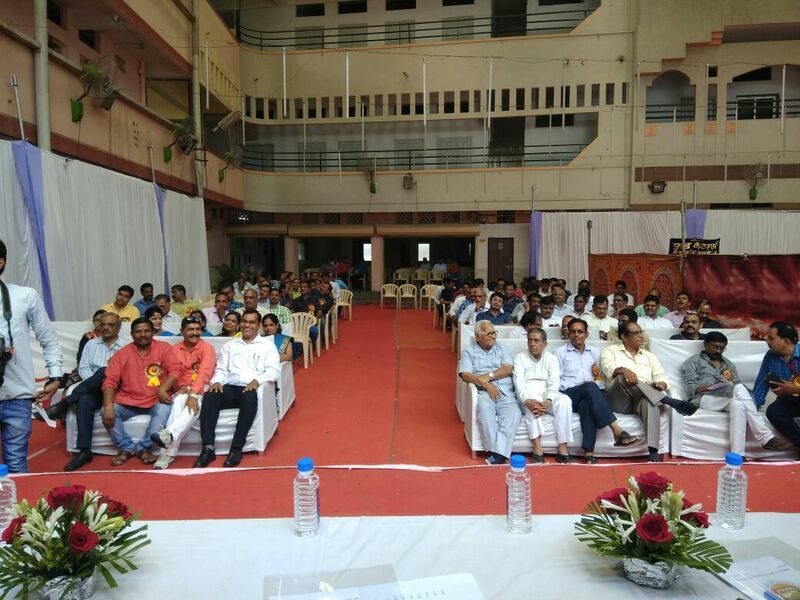 In the open session Sri P K Lahare SSPos Indore, Sri Chandrasekhar, senior Advocate, Sri Sivaji Vasireddy, Asst. General Secretary NAPE GC CHQ, Sri RS Varma CS PIV, Sri Abdul Qhureshi CS NUGDS, Sri TR Mandaloi CS GC attended as guests. SSpos explained latest Developments of the Department and he also promised to solve the problems what ever brought to his notice by the union. Senior Advocate explained the present NDA government anti worker policies. Sivaji AGS discussed on MAcP benchmark, GDS strike, GDs pay report, Cadrerestructuring, CSI, RICT, Infrastructure problems and other important issues. He also requested all group c members to cooperate with GDS union to obtain maximum membership in ongoing verification process. On 21-8-2017 elections were conducted. 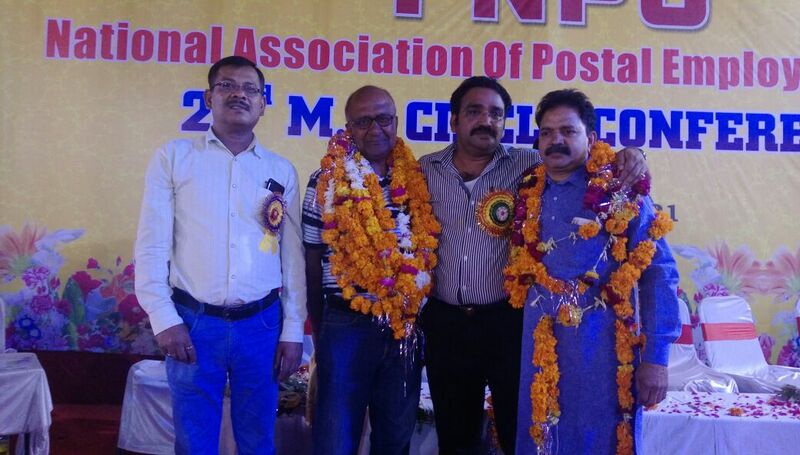 Sri DK Tiwari, ME Chatarpore HO, Sri TR Mandaloi, PA Jabalpur HO and Sri Ashok Kumar Pandey, SPM medical college SO, Jabalpur were again unanimously elected as Circle President, Circle Secretary and circle Treasurer respectively. 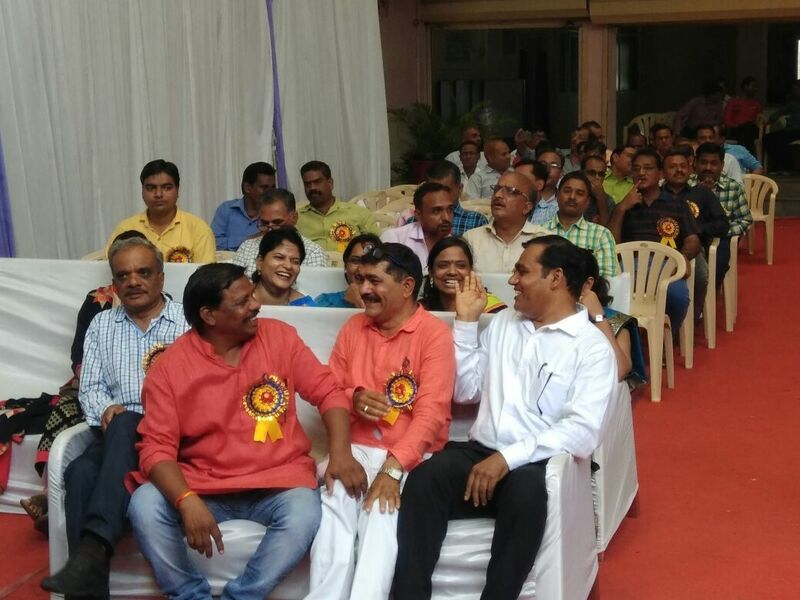 Sri Mahesh Kashyap RR Indore region, Sri Jalaj Rawat DS Indore city division and thier crew made excellent arrangements to the Guests, Delegates and Visitors. The CHQ conveys best warm wishes to the newly elected Circle office bearers.